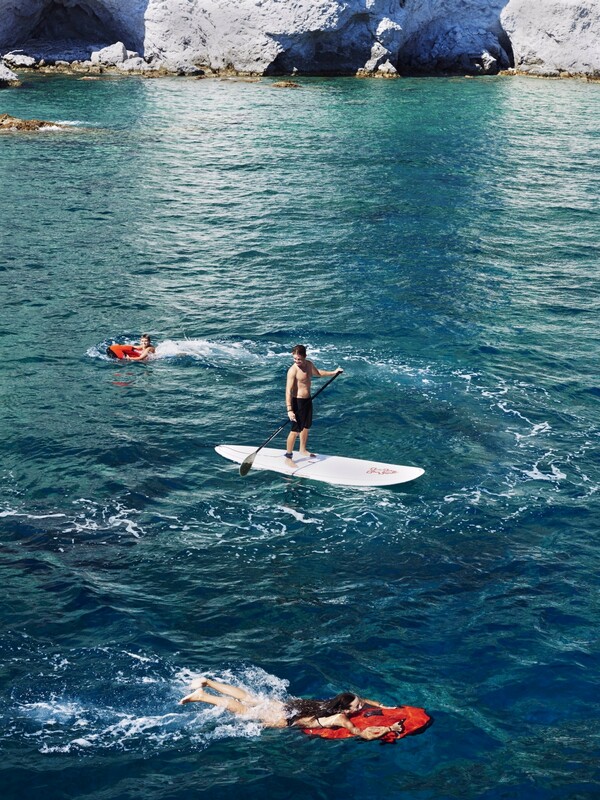 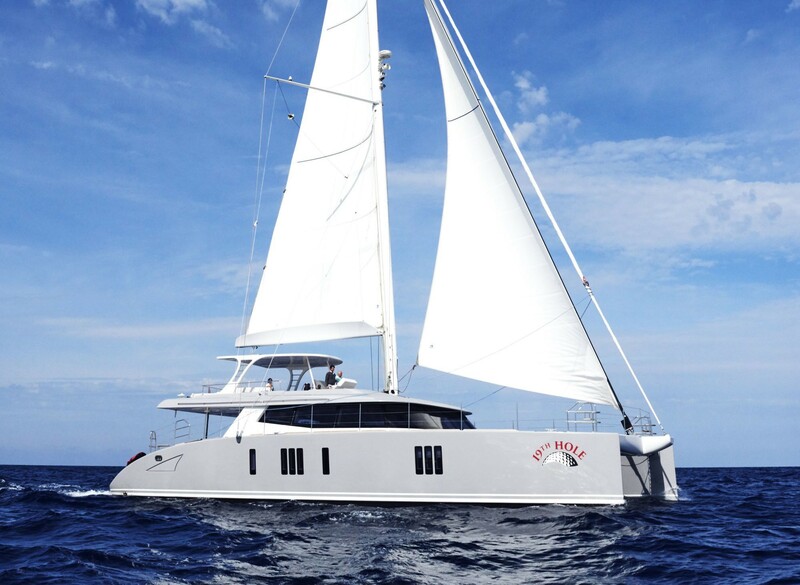 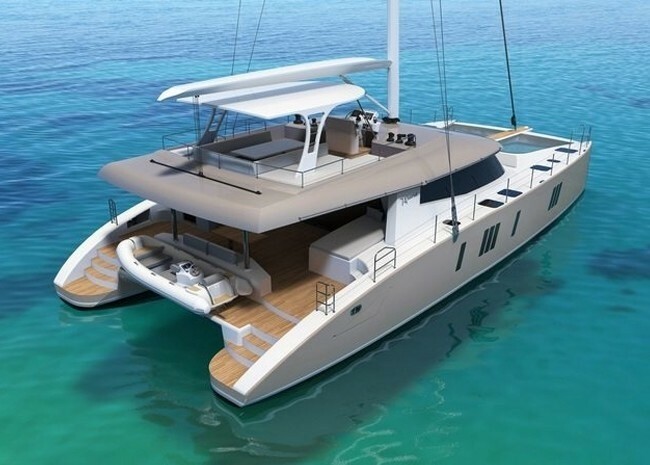 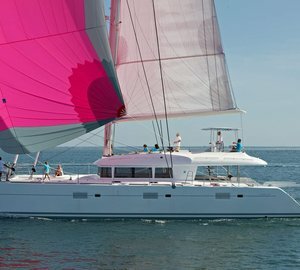 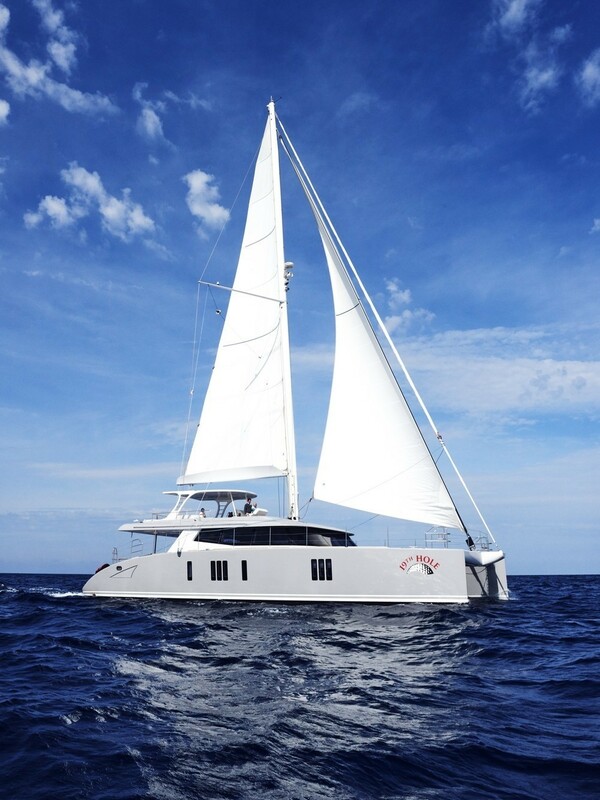 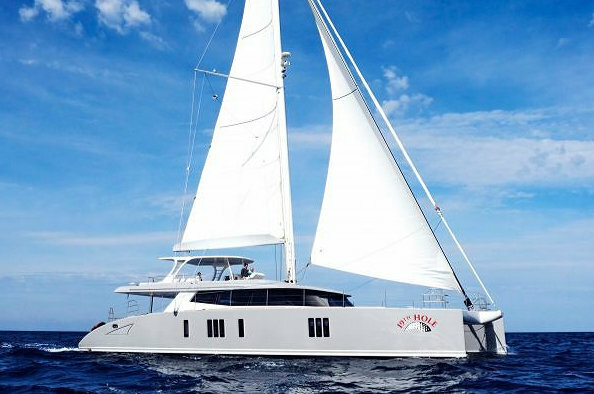 Sailing catamaran 19TH HOLE is an outstanding Sunreef 74 yacht featuring cutting-edge design, elegant and contemporary styling, spacious on deck areas and innovative technological features. 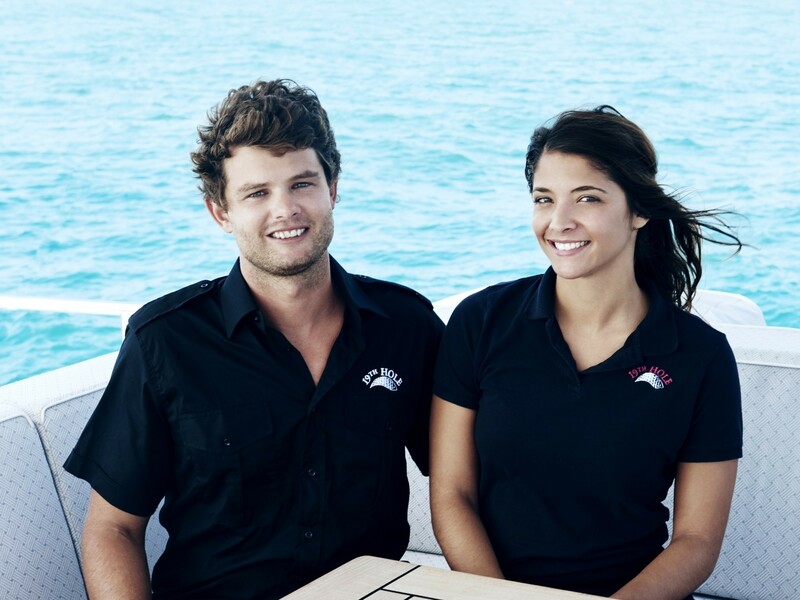 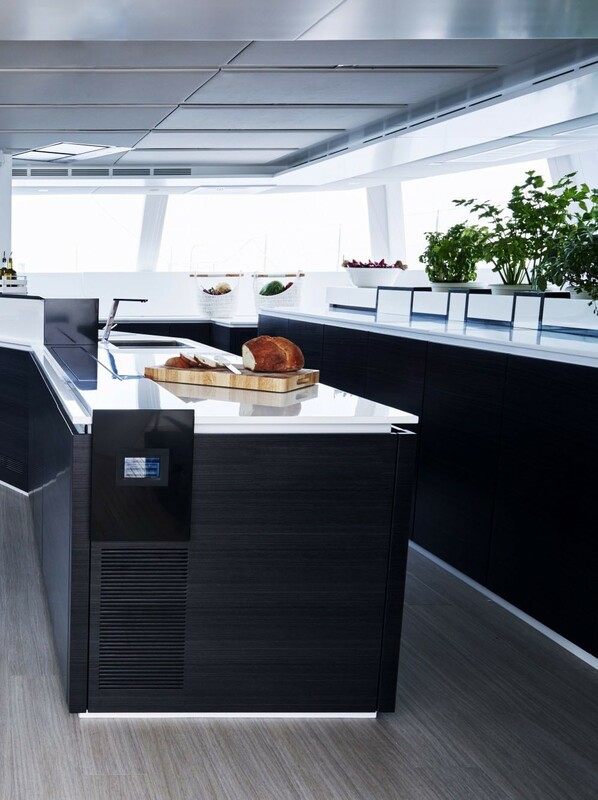 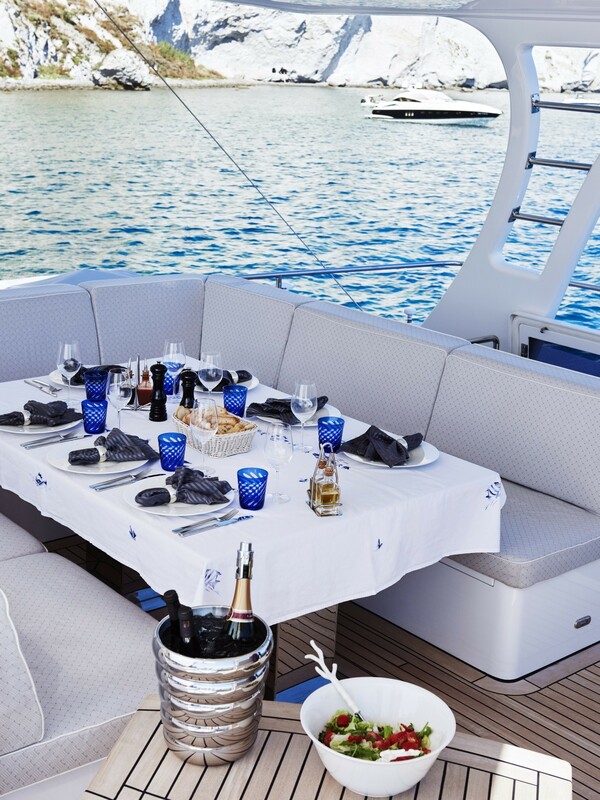 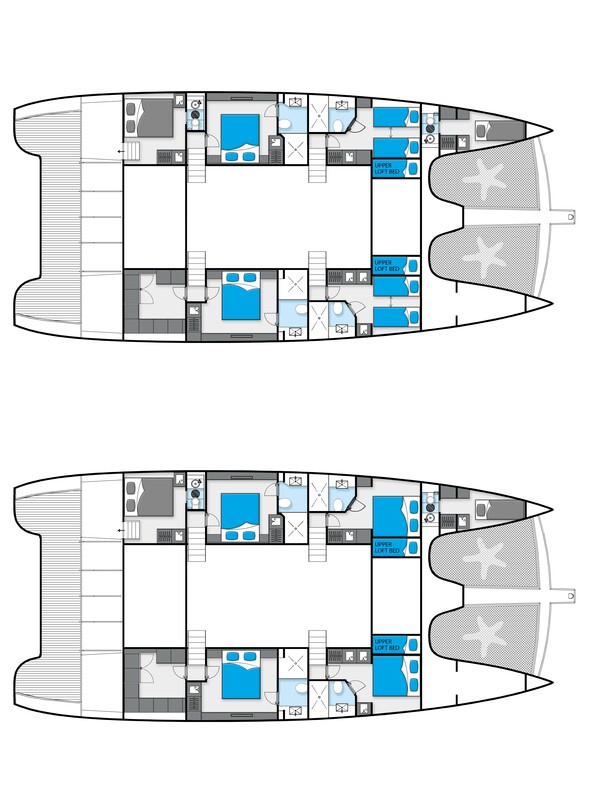 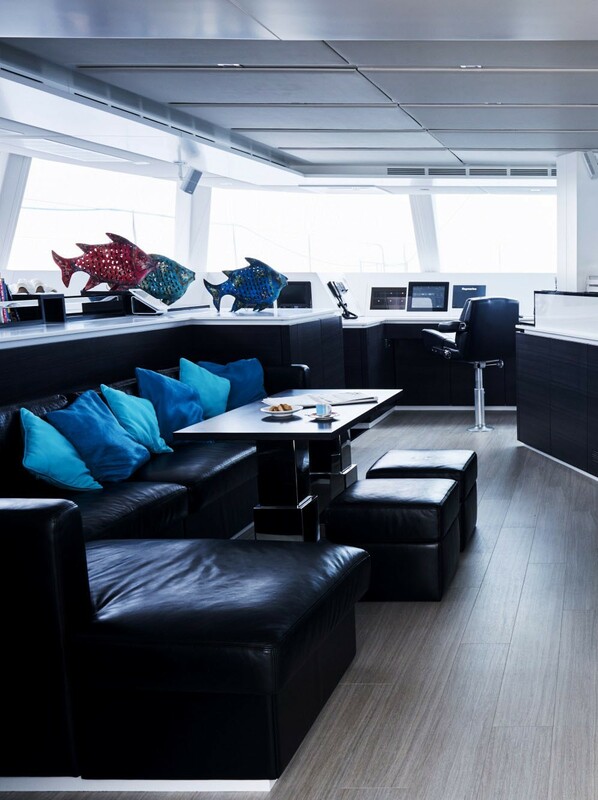 The Sunreef 74 19TH HOLE yacht was launched in 2015 and offers utmost in comfort, combined with flexible accommodation for up to 10 guests. 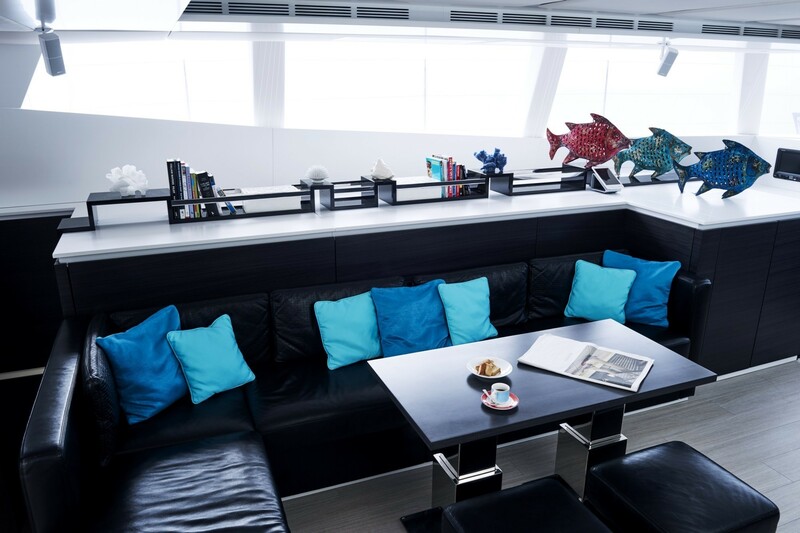 Luxury yacht 19th HOLE has an innovative layout, with vast living areas well suited for entertainment, relaxation and socialising. 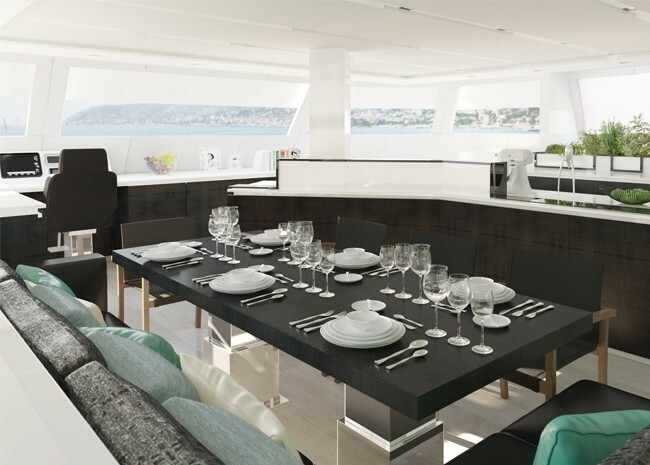 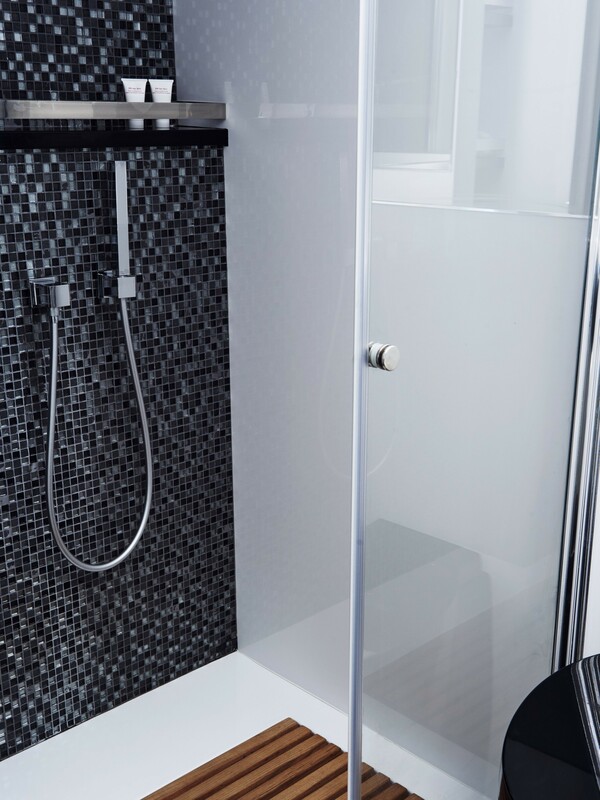 Her interior boasts a striking colour scheme, which includes bright white, cool graphite, dark ebony and touches of gem-toned hue. 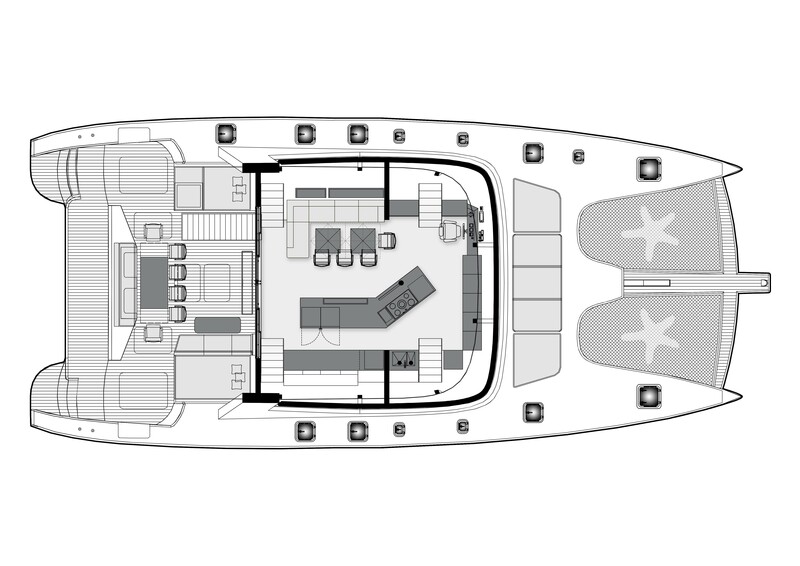 The bright and airy saloon has large panoramic windows, plush furnishings and elegant accents. 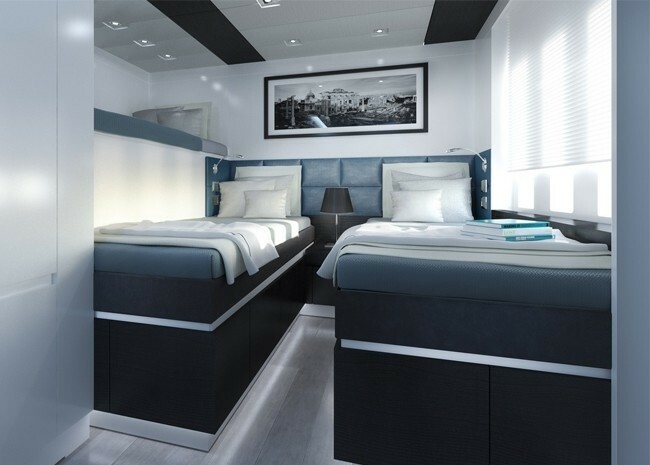 Accommodation is provided in two double and two convertible twins, which also offer pullman beds and can be converted into doubles. 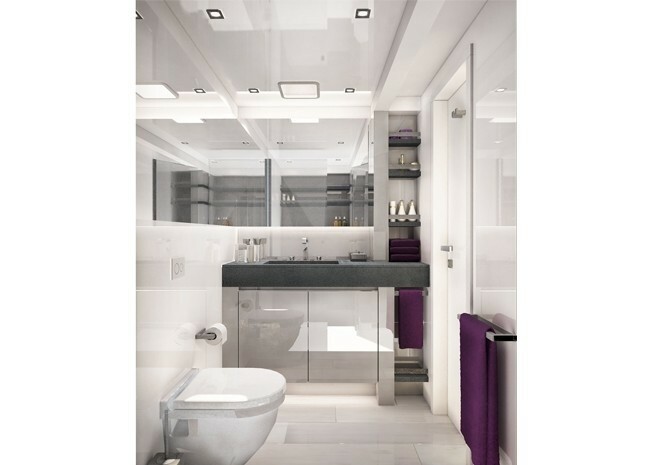 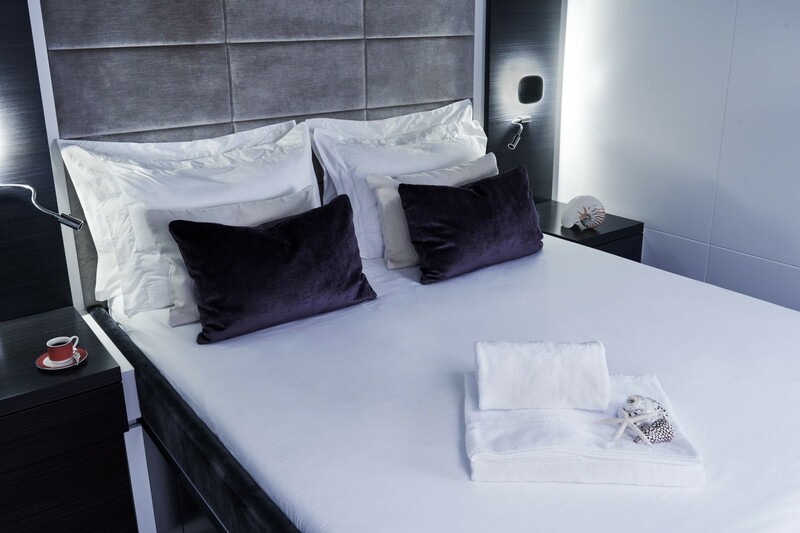 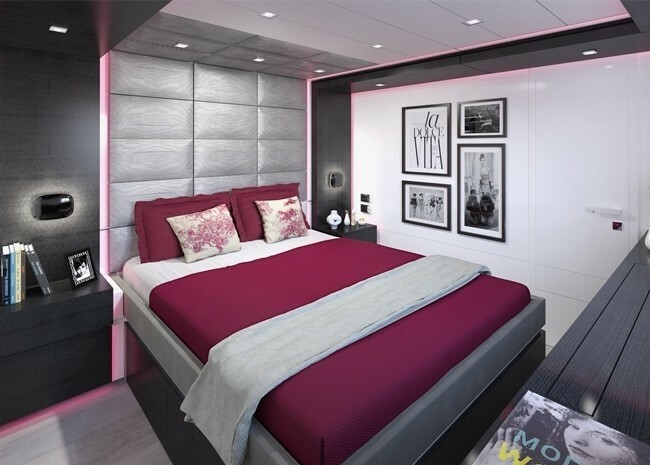 The staterooms are designed with a rich and sumptuous palette of silver and amethyst or cobalt and are very spacious and elegant. 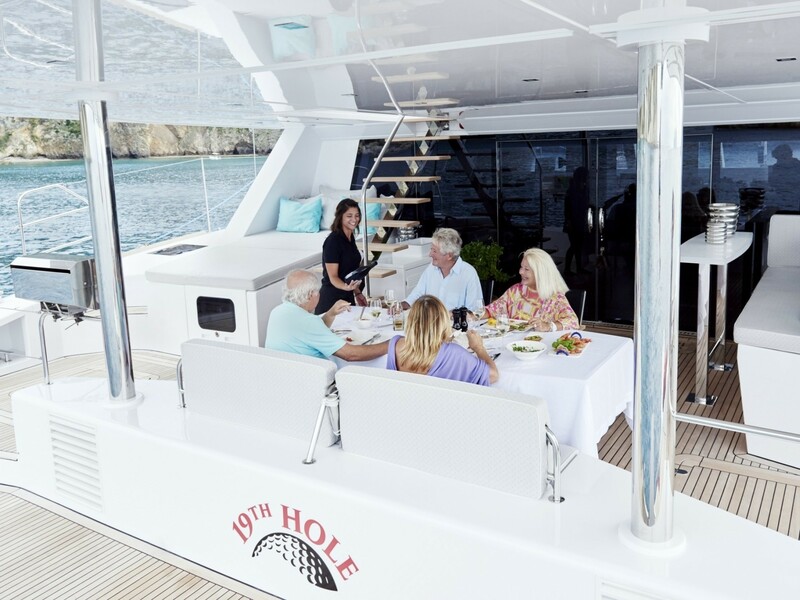 The forward trampolines aboard 19th Hole yacht are an ideal place for sunbathing, and the shaded flybridge is perfect for al fresco dining and socialising. 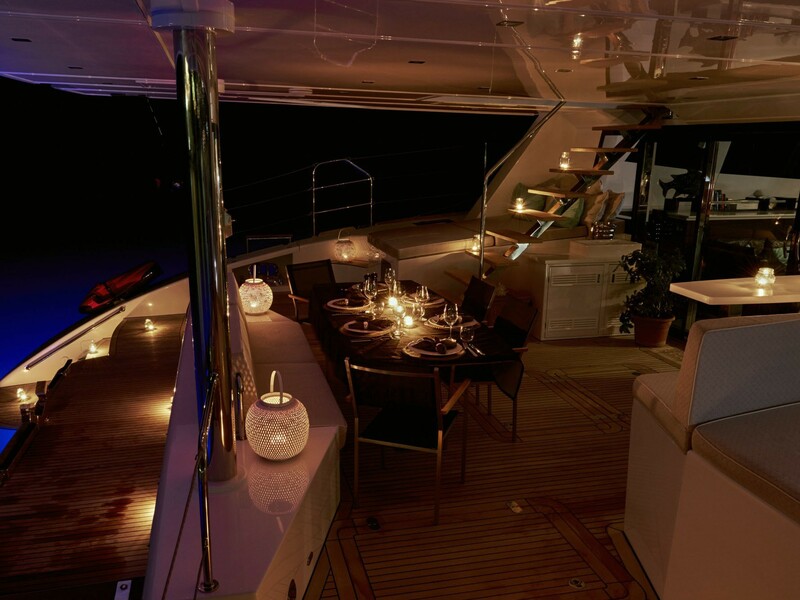 The aft deck is another great place to unwind and enjoy a cocktail or two. 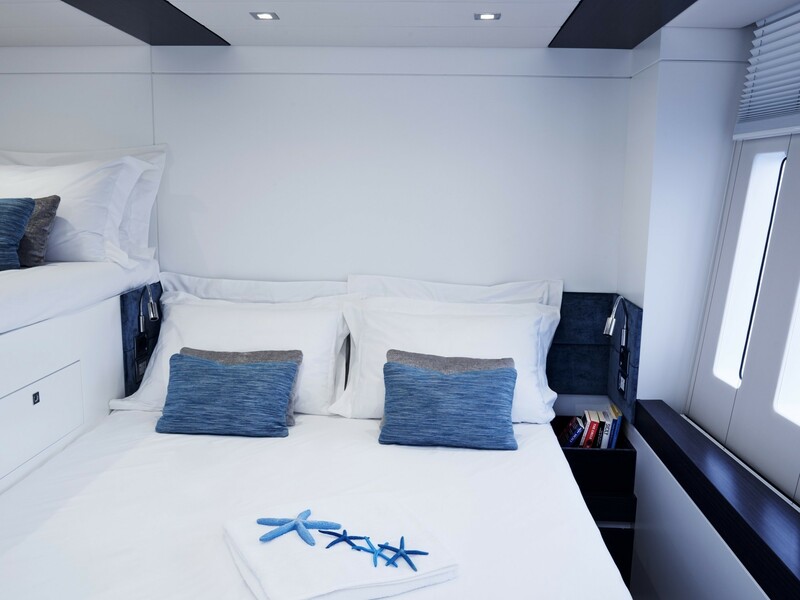 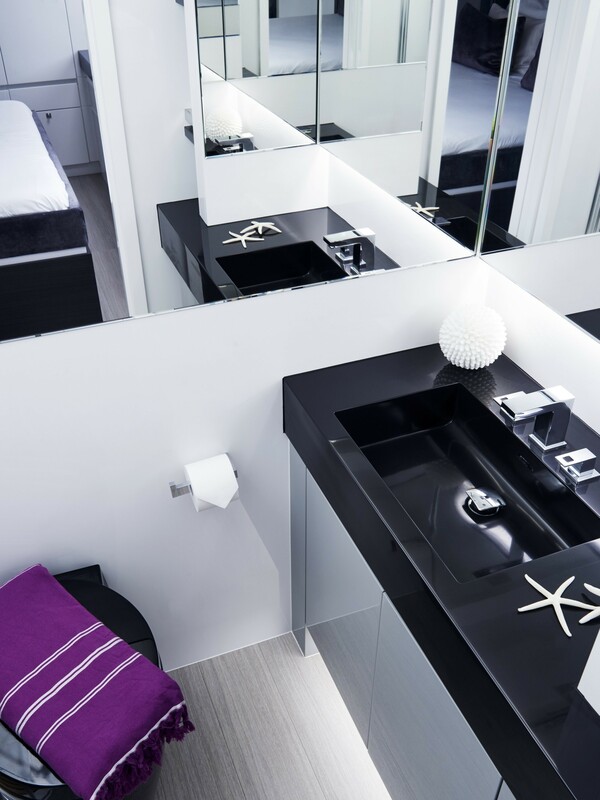 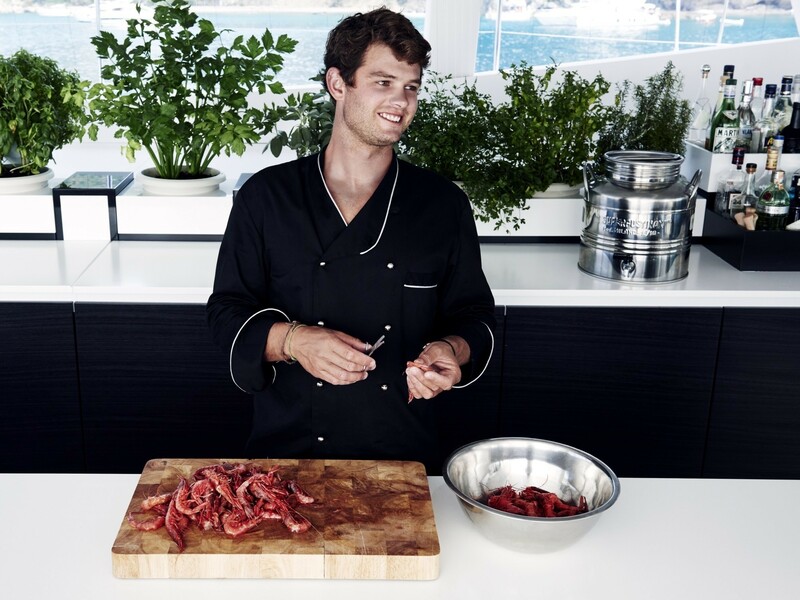 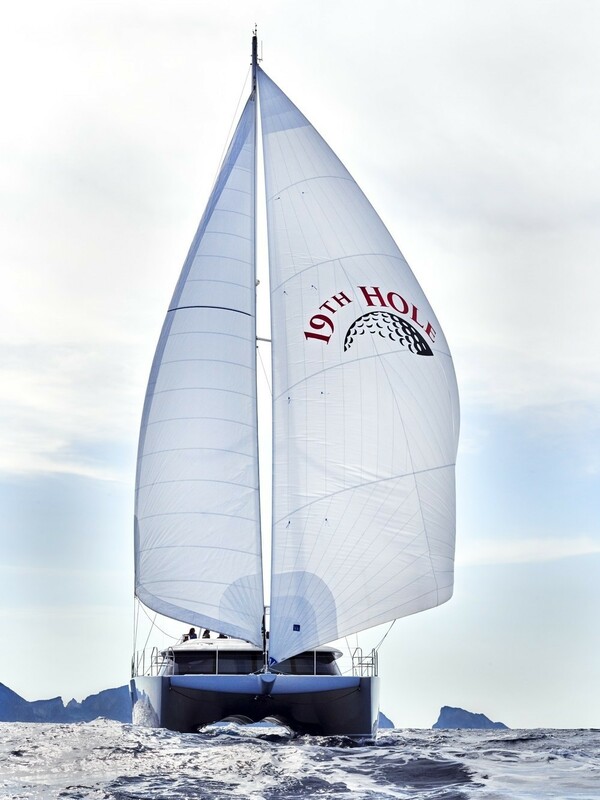 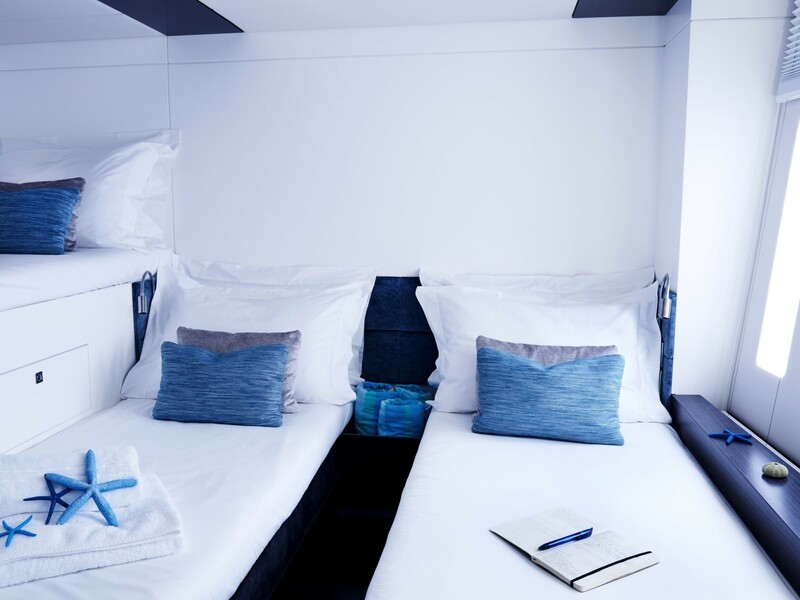 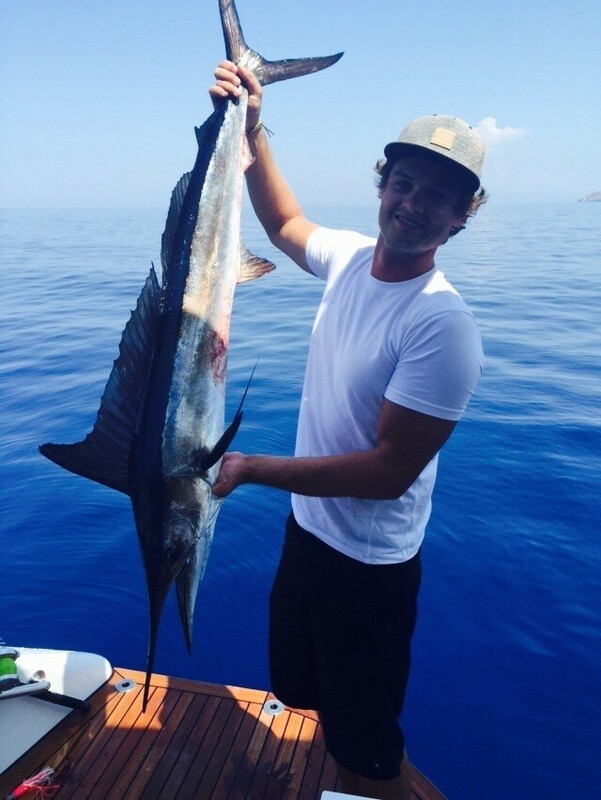 Accommodation is offered in 4 elegant and flexible cabins, providing luxurious overnight stay for up to 10 guests aboard 19th Hole catamaran.